In Merton, everyone’s for tennis! It’s almost time for Merton’s annual star turn – as the home of the Wimbledon Championships – all of which began as a croquet fad. Lawn tennis came later to the club, which still calls itself the All England Lawn Tennis and Croquet Club, and clearly took the members by storm. FilmFixer manages the film office for Merton Council. So with the rye grass cut to exactly 8mm now in preparation, and fans organising their camping equipment for the queue, it’s time now for us to help the media arrange positions for their coverage. FilmFixer director Karen Everett says, “Once again, ITV’s Good Morning Britain and BBC Breakfast will be presenting from Wimbledon Park. 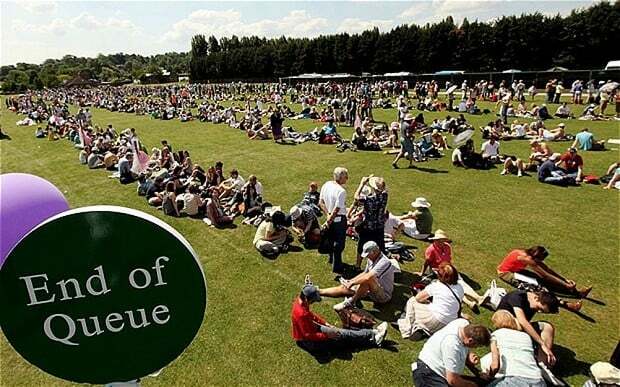 “The coverage doesn’t start with the tennis itself so much, as the queue that starts this Sunday, and the overnight camping it involves. “It’s a pleasure each year for us to work the residents and the media, ensuring that all the filming runs smoothly.